Invite your friends and family to celebrate your upcoming wedding with a bridal shower or kitchen tea. Bridal shower invitations should be the first invitations your guests receive so why not make a lasting impression. 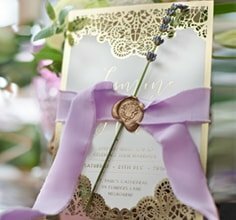 Create personalised invitations that will complement your wedding and ensure a memorable look that represents your flair.